These shad head jigs are great for bass fishing and assembling your umbrella rigs. These are made with Mustad Saltwater hooks, so they can be used anywhere. The 1/4oz and 3/8oz sizes are molded on a 2/0 hook. 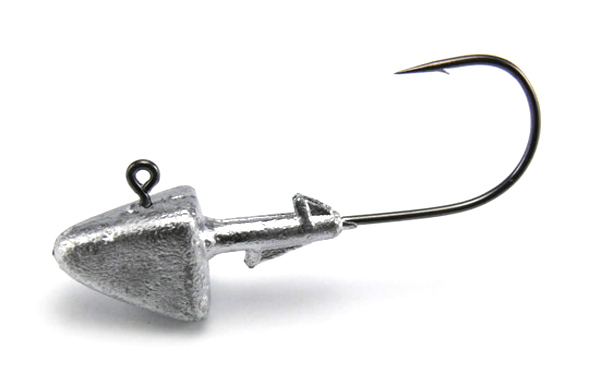 The 1/2oz and 3/4oz sizes are molded on 4/0 hooks. Mustad saltwater hooks are used for these. Packaged 50 per pack.